Millet Ganji is one of the healthiest and easiest dish. It is best for breakfast. 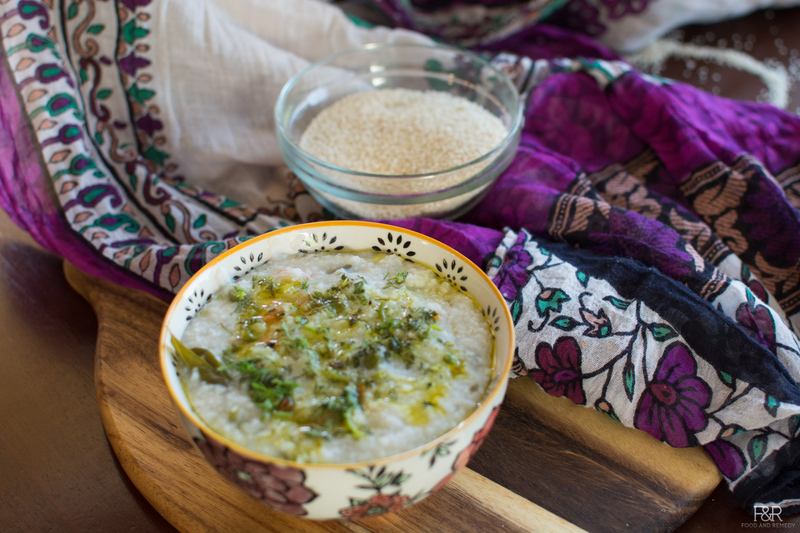 Ganji can be prepared using rice and millets. This is super food for kids too. Here I am using haarka/kodo millet for making this delicious Kanji. We can make it plain or add any vegetables to make it more wholesome. According to Dr. Khader millets are the best food ever to prevent and cure any chronic illness and Millets which is popularly called Siridhanya, believed to be good for diabetic patients since it releases the glucose slowly. All millets are non glutinous grains. Drain the water from soaked millet. Take the millets, beans, carrot, ginger, coconut, salt, jeera, curry leaves, along with 5 to 5½ cups of water in a rice cooker pan. Mix it well and turn on the rice cooker. Once it is done the rice cooker switches to warm. Unplug the unit, add chopped cilatro to the ganji mix it well. Eat this hot ganji as it is, or with mint chutney, or buttermilk or yogurt.